i’ve been back in the middle east for almost a month. tucking away my appetite for adventure, i’ve replaced my comfortable sneakers with six inch stilettos and my cut off shorts with evening gowns as i’ve pranced from one night of celebrations to the next. a series of weddings, engagements and breezy afternoons spent laughing and cavorting with friends has kept me distracted from my wanderlust ways. 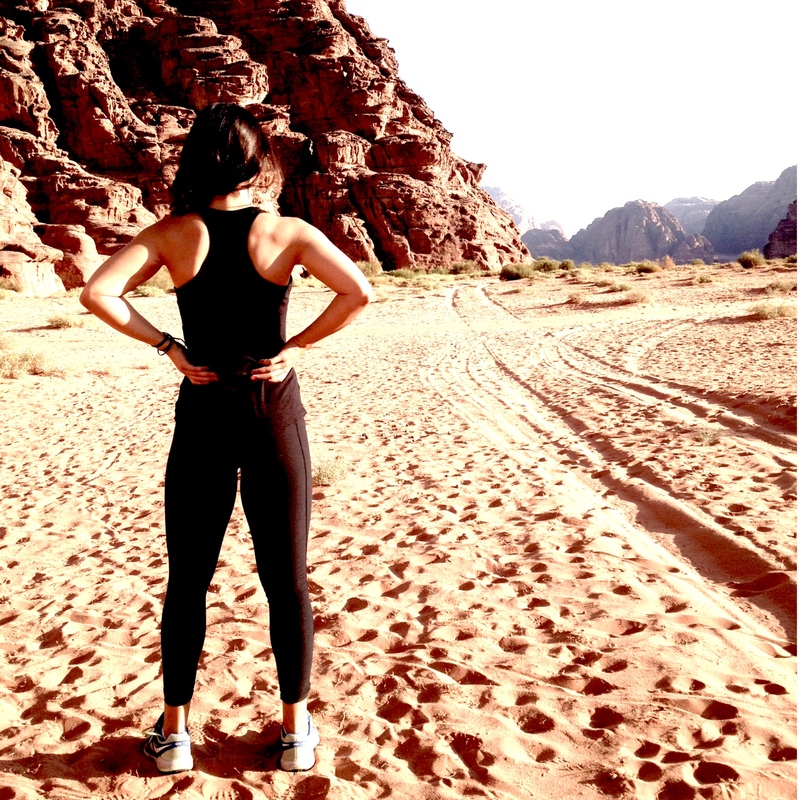 so after three weeks of falling prey to the comfort of a festive summer routine, i’ve dusted off my sleeping bag, charged my flashlight and headed to the south of jordan into the open spaces of the magical desert known as wadi rum. 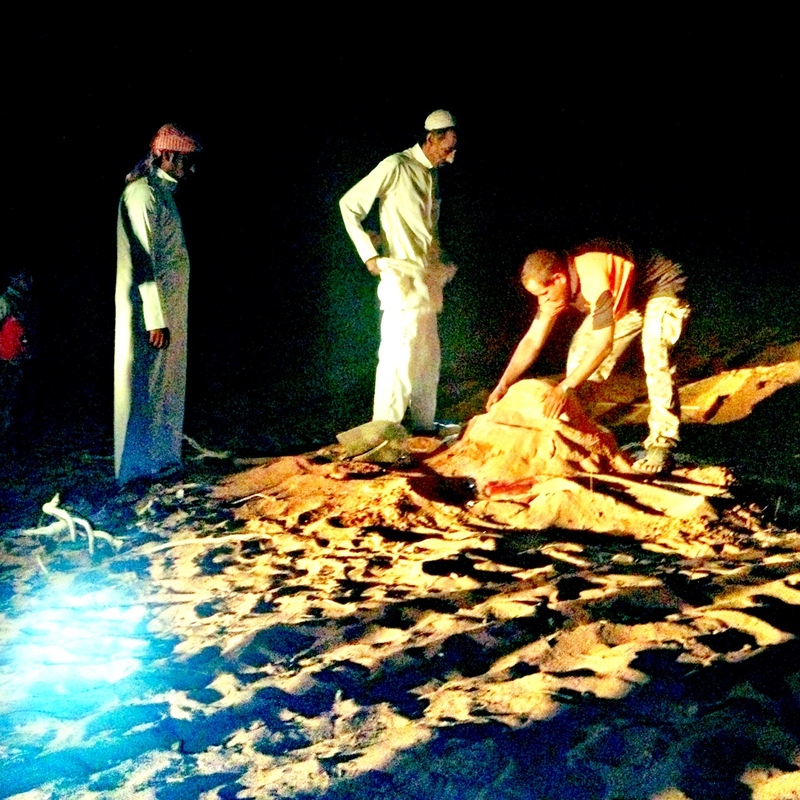 it only takes a minute for any first timer to understand why this barren desert is such an international attraction. the red sand and sloppy mountains have not been touched by technology. ruins of ancient temples and indecipherable inscriptions are scattered between sandstone formations. the sharp and unpolluted skies stretch further than its history. in the chaos and craziness of every city in the middle east, this reserve is a place for peace. and while the daytime exposes your senses to the beauty of the landscape, we’re arriving at night which brings with it a different experience. even with the car windows rolled up, i can taste the dry dust as we near the edge of the desert. our caravan of SUVs follows a tinkering truck as we pass through a tiny dilapidated village, which looks like an abandoned movie set, in our last encounter with electricity. the bars of cell phone reception quickly disappear as we drive deeper into the night. there’s a sense of panic that freezes my veins, but only temporarily. as we continue our drive behind our bedouin chief into uncharted lands, the anxiety gives way to calm. for a brief moment as the headlights and engines of the five cars simultaneously switch off, there is nothing to see or hear. peppered only with a handful of tea-light candles placed in eroded vacuums of the mountains, my eyes need a minute to adjust to the darkness and my mind needs a little longer to adjust to the quiet surroundings. there are no distractions in this tranquil space. no humming of electric grids or honking of cars, no sirens to break the night’s silence or music from party-hungry neighbors. only the unfamiliar whispers of the desert winds dancing through cold and cracked sand. a piercing light bursts across the sky and as i look up to follow its trail i see dozens of shooting stars racing in different directions. i throw my self onto the cushions that have been laid out for us on the ground and toss my head to take in as much of the sky as my eyes can feast on. the fierce black sky is glittering like the brightest of tiaras above the mountains. the stars look like sharp icicles that have been frozen into the sky. the breeze carries over the smell of our evening feast. our hosts have un-buried the meal from a large underground pit. the lamb and chicken have been barbecuing for hours and are infused with onions, squash, potatoes and intensely aromatic spices. the old man in charge explains the art of dusting off the sand covered pit that traps in the heat before lifting the three tiered tray out of the searing hot coals. his face betrays him momentarily as he flinches from grabbing the coals with only his bare callous ridden hands. his hospitality is too stern to confess that he felt pain so instead he smiles and shakes his head as he fills each visitor’s plate. the space falls into silence once more. i turn my attention to the meat and instinctively begin tearing it apart with my fingers. the succulent juices of the lamb rain onto the plate while i ignore the mess and devour the food. the silence is broken by heavy and satisfied sighs. i sink into the cushions a little more comfortably and sweet tea is passed around. our nightcap is served. as we each come out of our collective culinary trance, the conversations start to roll. with friends that i’ve known for nearly a decade and others that i’m just getting to know, our voices echo through the still of the night and our laughter is reverberating off the granite hills. i battle with my body to stay awake long enough to see the sunrise, but as the weight of my eyelids become heavier, i know it’s a losing fight. i allow myself to give in to the night knowing that when i awake, be it at dawn or shortly after, there will always be something beautiful to see here. 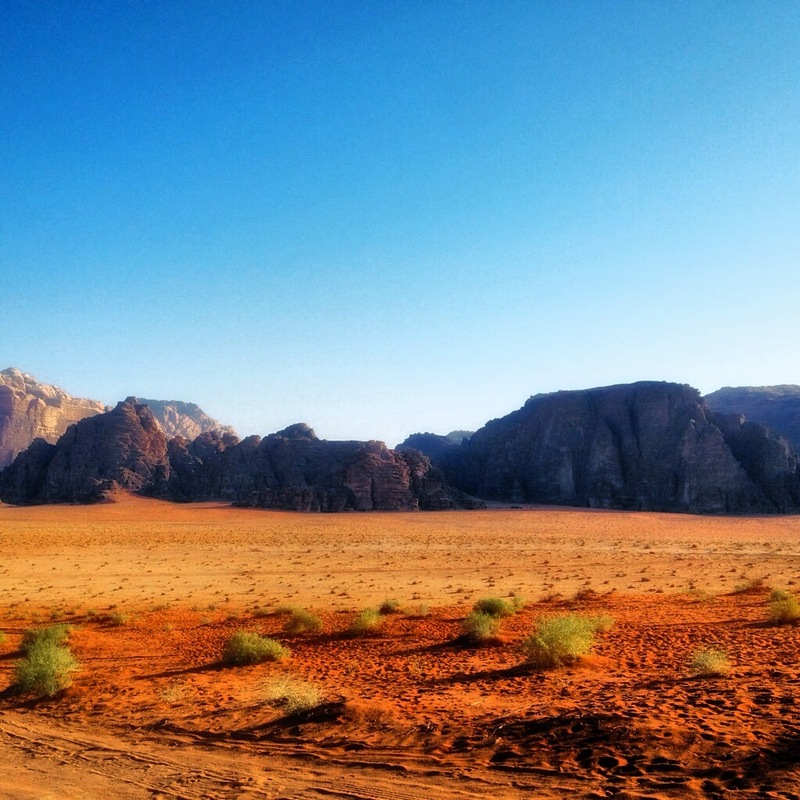 This entry was posted in jordan and tagged wadi rum. Bookmark the permalink. 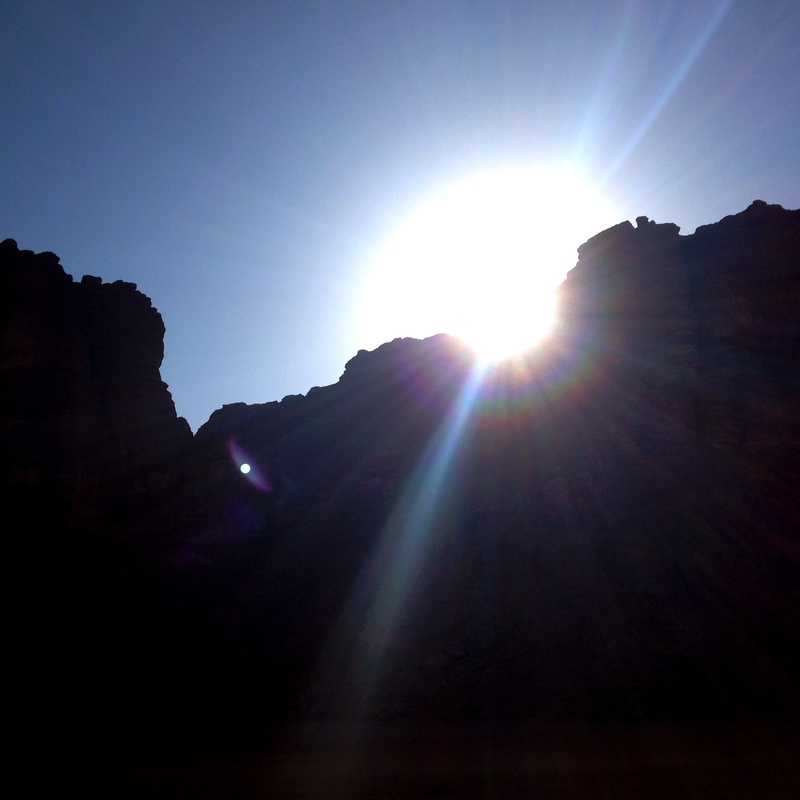 4 Responses to passion in the desert. i’m dragging you with me next time! Another amazing piece!! Love it!! the streets of san francisco. house of sand and fog. once upon a time in the east.